Grew up in Huntly and was educated at The Gordon Schools. 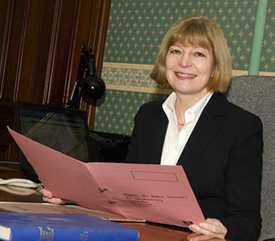 Graduated from Aberdeen University in 1976 and has been a partner in three legal firms over an extensive working life. Wealth of experience in a wide range of areas of the law. From residential property purchase and sale or commercial purchase or sale to partnership or company formation. Or if it’s a Will to be prepared or winding up an estate after the death of a loved one, he will deal with all in an experienced, caring and competent way. Always willing to go that extra mile to help. The other member of the team is Catriona MacLeod who has many years of experience in the area of family law and regularly appears in the family court in Aberdeen. In all family cases, our focus is on solving problems. When a relationship breaks down we realise that it is a time of great stress and of great emotional upheaval for you. We are able to provide support and understanding, together with the best legal advice available. Ross Graduated from Aberdeen University in 1977. 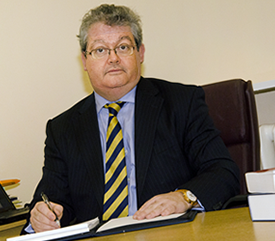 He has worked in both Edinburgh & Aberdeen and has been a partner in three legal firms since 1984. He has considerable experience in all court and tribunal related matters. He has been involved in both civil & criminal cases in the Sheriff Courts, Court of Session, High Court of Justiciary. 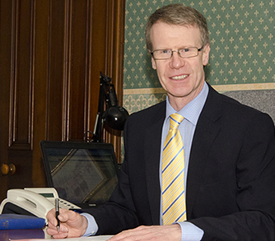 He has conducted cases in the Employment Tribunals in both Scotland and England as well as having been involved in cases in the Employment Appeal Tribunal, Appeals to the Inner House of the Court of Session, the House of Lords (now Supreme Court in London) and criminal appeals in the High Court of Justiciary sitting as an appeal court. Ross is also qualified as a Solicitor Advocate, Specialising in Civil Litigation and Civil Advocacy involving Extended Rights of Audience to appear in the Court of Session in Edinburgh and also in the United Kingdom Supreme Court, in London. He is always pragmatic and will seek out the best solution for our clients. He will always seek to resolve disputes in the best interests of our clients, but if the matter in dispute requires to be defended or proceed to a Tribunal, Sheriff Court or the Higher Courts he has the wealth of experience and the specialist knowledge required.